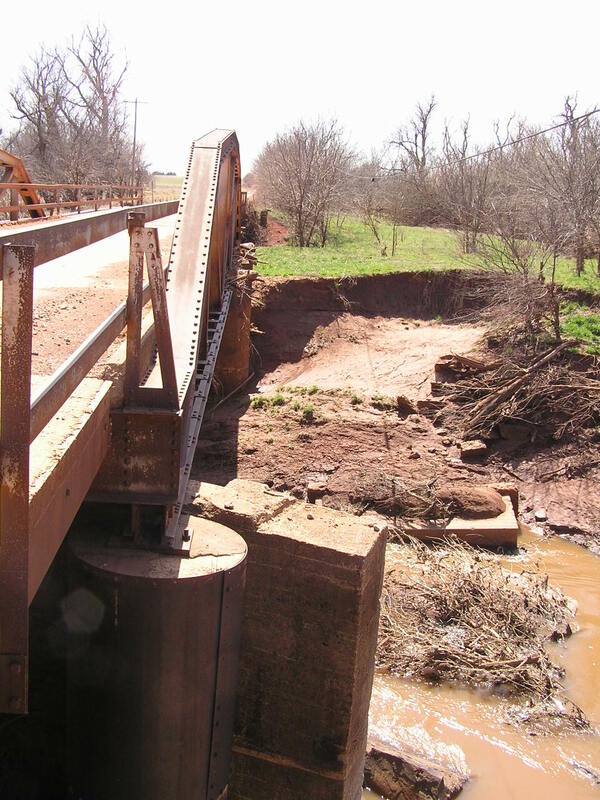 Skeleton Creek Bridge, Logan Co. 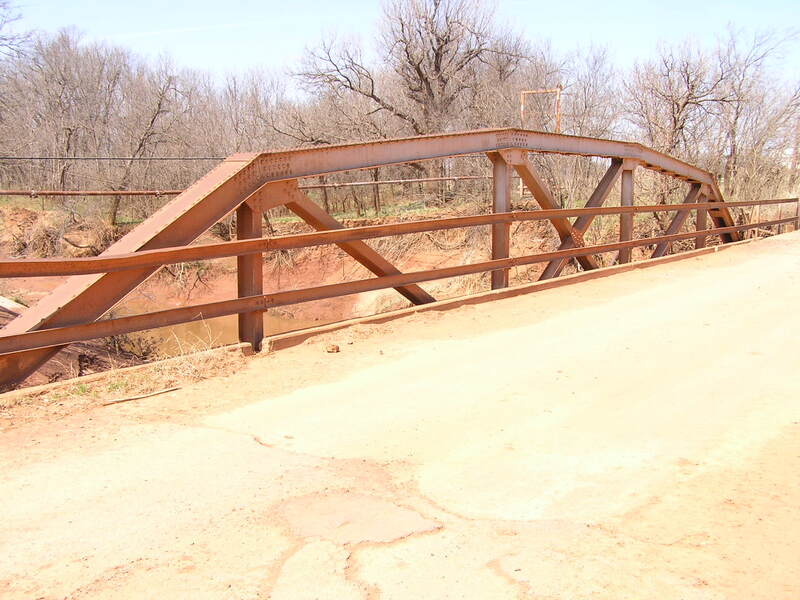 Built in 1920, this 80-foot Parker Pony bridge spans Skeleton Creek near Lovell. Below, the bridge as viewed looking south. The bridge has stringer approaches at each end. Above, a view of the truss. Note that no lacing is used. Note also the simple channel railings. The web members in this bridge are rolled "I" sections. Most state designed standard plan bridges used built up members until modern wide flange sections became available. 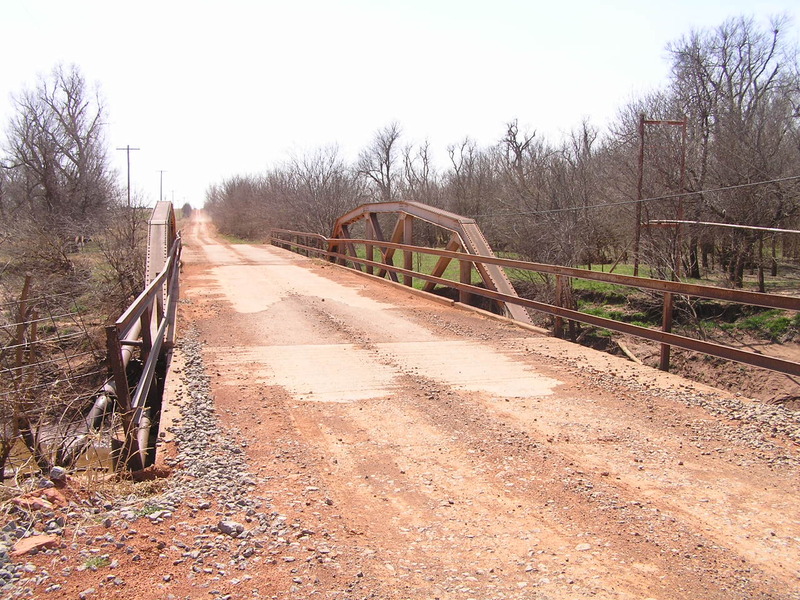 Above, this photo shows that this was not the first bridge on this site. You can clearly see that the south pier of an earlier span has overturned, while the north pier was left in place to stand under the present bridge. This old practice of not removing the old bridge piers and occasionally debris when building a new bridge contrasts our present practice which removes al traces of former bridges. 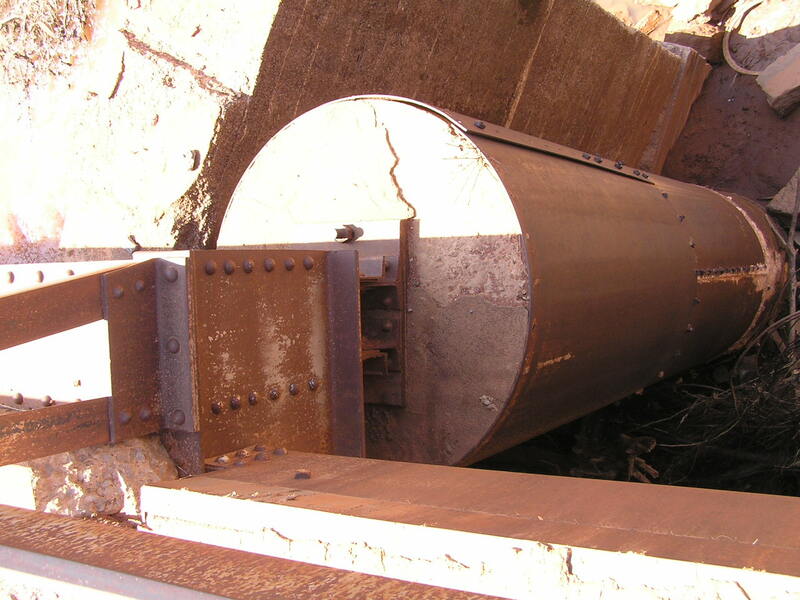 Below, as could be seen above, this bridge stands on cylindrical steel tubes filled with concrete. These were called lally columns and are more commonly found on bridges built before WWI. This bridge represents perhaps the latest documented example of their use in a new bridge.